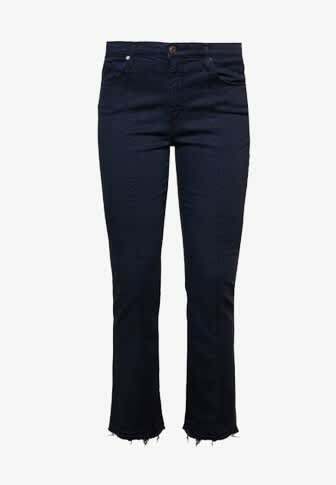 AG Jeans Jodi Crop Jeans in Sulfur Dark Cove This pair of AG jeans are sleek in a matte navy and feel on trend with edgy raw hems. High Rise, Slim Fit, Flared, Middle seams, Slightly Distressed, Ankle length. Made in the USA.